enjoying watching some warm nuzzling! and secretly trying the cushion on all my seats and wanting to keep it! and making new beginnings again, more cushions! 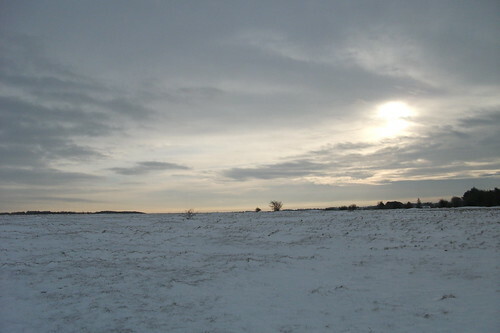 The countryside all around you does look so very pretty in the snow. What a wonderful area in which to live and to be able to enjoy such marvellous walks away from traffic and busy streets. The Christmas Tree appeal was obviously a big success and is a comforting sign that there is a great community spirit where you are. The cushion is lovely. No, we should not want to part with it either. 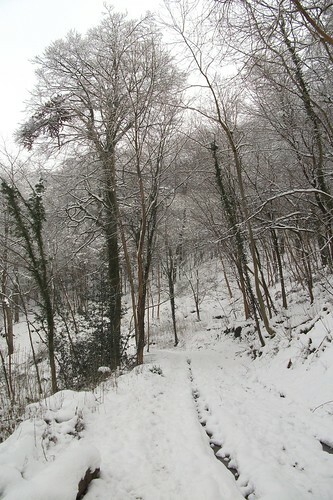 Still, while the snow lasts you have plenty of time to create more.....!!! 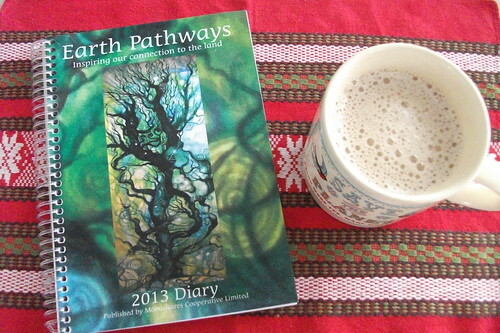 We hope to see you at our blog at some point! 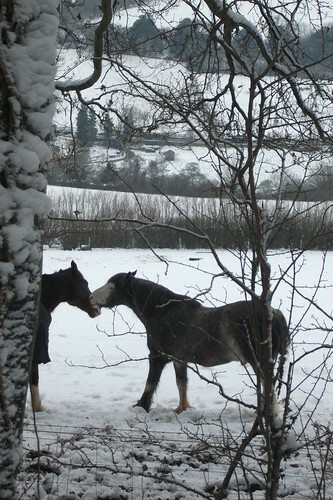 Your pictures of the snowy countryside epitomise everything about the countryside in the depths of winter, including the charity and community spirit that should fill everyone's hearts as we all try to get through the cold & dark days. We at Crivnes cottage seem to be the only ones who haven't been out playing in it, but alas our eldest (3yrs) doesn't like nor dislike it and would rather stay in in front of the fire playing trains and puzzles and our youngest (1yr) doesn't understand. The back garden is a building site so not safe to play and we have used it as an excuse to have the fire on, drink hot chocolate and stay inside playing games, reading books and being together. Almost like Christmas but without the tree and presents. I would find it quite difficult to post that cushion off too, but at least you can always make one for yourself knowing that it is going no where. Still no snow here in Greenock - for which I am glad! 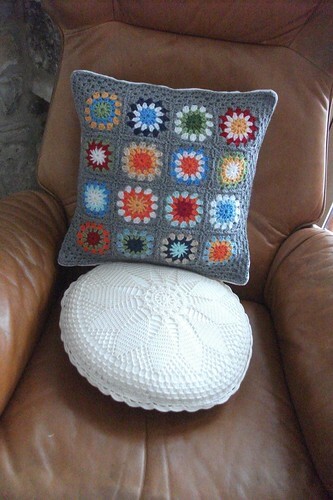 Love your cushion, the colours are perfect together. ( -6degrC), but it's a dry, very windy, bone chilling cold. Your cold looks magical!!!!! 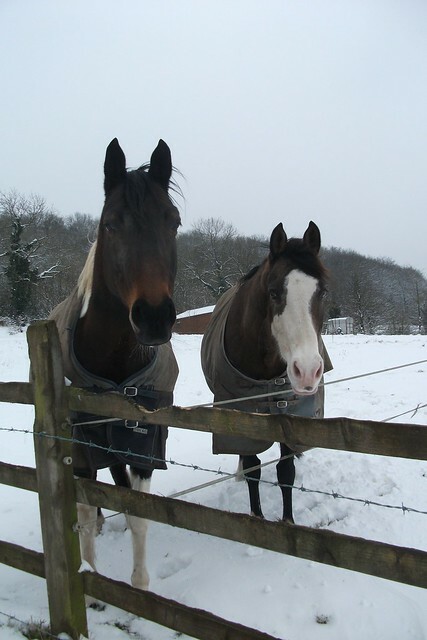 Love all your snowy pictures, Heather! Our snowy wellie walk took us to the village sledging slope too, and our granddaughter had her first ever go on a borrowed sledge. 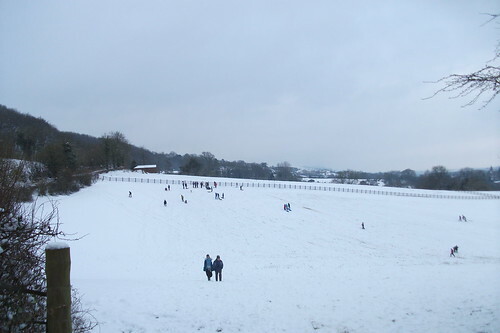 As you say, a great community spirit, all the village brought together to enjoy the snow and share the fun! Snow!!! I miss it!! But not the cold!!!! 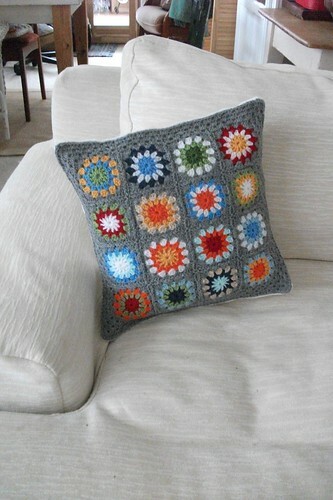 ...by the way : your cushion is beautiful!!!! 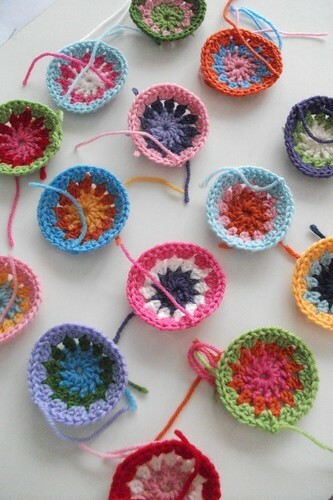 Beautiful pictures and I LOVE the crochet! Loved seeing and reading about your snow, something I haven't seen since 1983! I was born and raised in Michigan, but now live in Florida. I love your blog; it's one of my favorites. I'm sure the horses appreciate their coats. 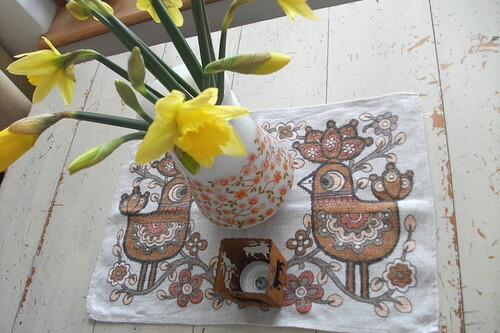 Love the bright Daffodils and your crochet....such cheery colours on dull days. 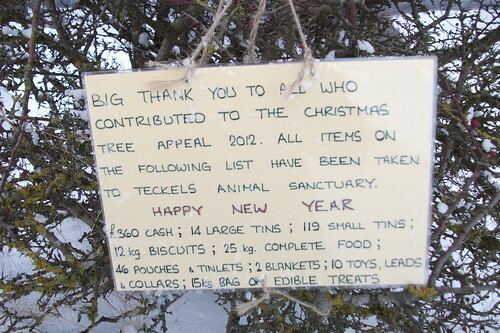 The Christmas Tree appeal.....a wonderful idea and no doubt much needed by the animal sanctuary. 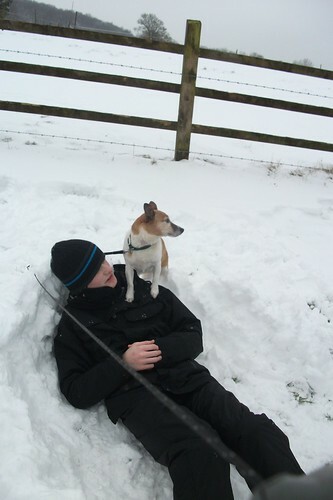 Lovely photos in the snow, and the thank you note is touching; the dog walkers Christmas tree is a great idea!